What, you may ask, is a woman's health product doing on a beauty blog? Simple. It makes one incredible facial primer. Should I be carted of to a crazy hospital for even trying this? Probably.I've tried crazier in the name of beauty, but we'll get to that. I know what you're thinking. Monistat? As in, over the counter yeast infection medication? Actually, though it's made by the same makes, it's for external use only, such as chafing caused by a swim suit or riding a bike. But let's discuss the wonderful alternative use. Facial Primer! I first read about in passing on a beauty forum. I was pretty skeptical at first but I'm cheap and the thought of spending only six dollars for facial primer made it too good to pass up. I bought it at Target and immediately tried it out. I applied a thin layer over clean and moisturized skin, using a little extra on areas where I had unevenness such as a zit or large pores. I wasn't as miserly with the amount I used, at 1/6th the price of Smashbox Photo Finish (and one and a half times the size!) I could definitely afford to not skimp. The product is a gel that feels silky smooth- the way finely milled powdered feels. It didn't smell medicinal, just faintly of baby powder. As you can see, it's invisible when applied. In short, it delivered everything a pricey primer promises. It created a light layer between my skin and makeup, I could tell instantly when I applied my concealer to my problem areas that it helped the concealer sit evenly. It also made my makeup last all day, kept it soft and there was no irritation whatsoever, as well as oil control! I'm never shelling out 30+ dollars for expensive brand name primer ever again. Cost: 1.5oz. 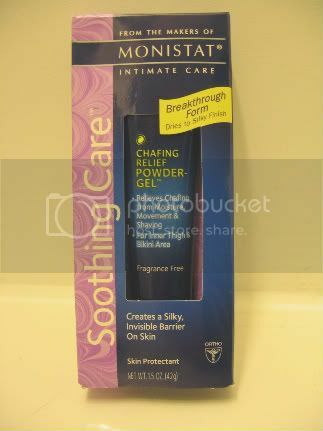 Around $6 at Target, CVS, Walgreens and other drugstores.